I love festive foods. 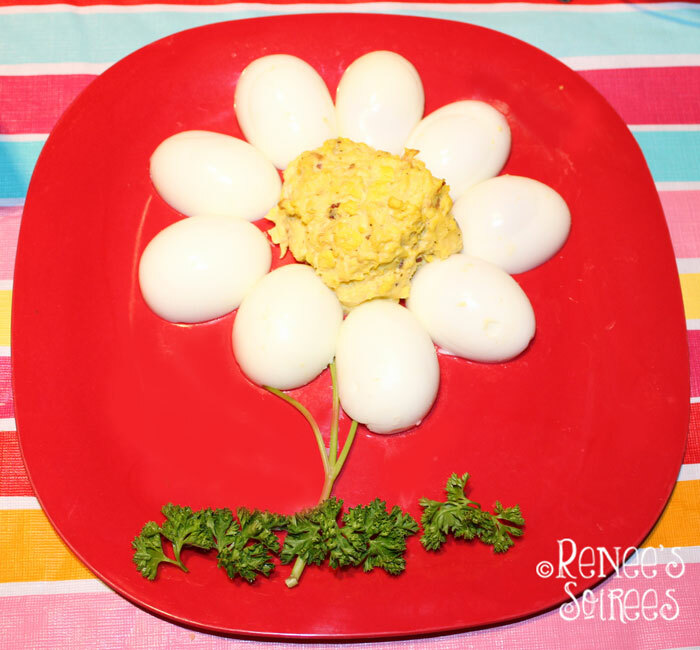 Why bring a regular Deviled Eggs to a Spring lunch, when you could bring some shaped like a flower? 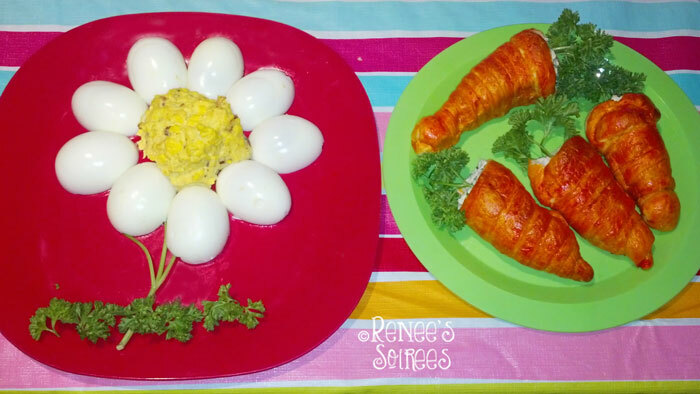 Last Easter I made a basic egg salad recipe, then used the hollowed-out eggs that would normally be filled for deviled eggs, and instead arranged them around a scoop of egg salad on a plate. The flower stem and surrounding ‘grass’ is made of parsley. Technically this is easier than making deviled eggs, because the guests are filling them themselves (or just scooping them onto their plate). 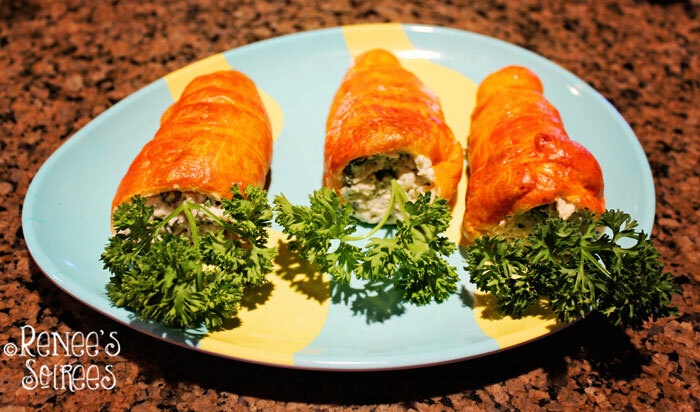 I also made some croissants stuffed with chicken salad. I bought the chicken salad from the local Fry’s (part of Kroger) store, because I happen to love their version. 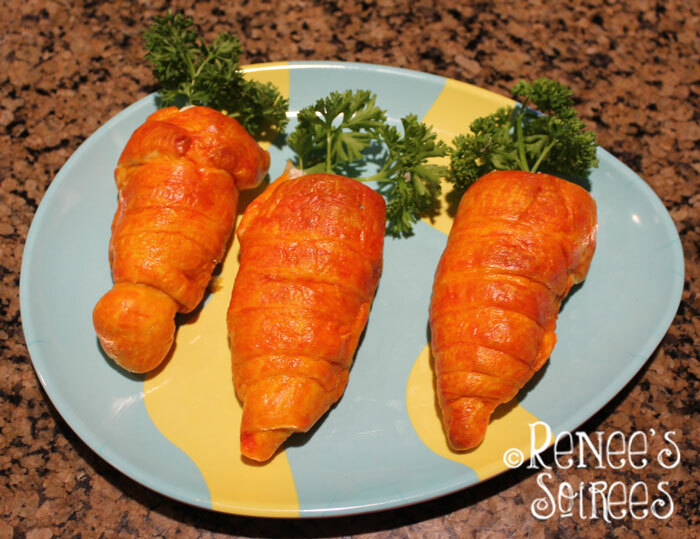 Here is the how-to for making the ‘Carrot’ Croissants. If you are looking for inspiration, feel free to peruse my Easter Pinterest board!